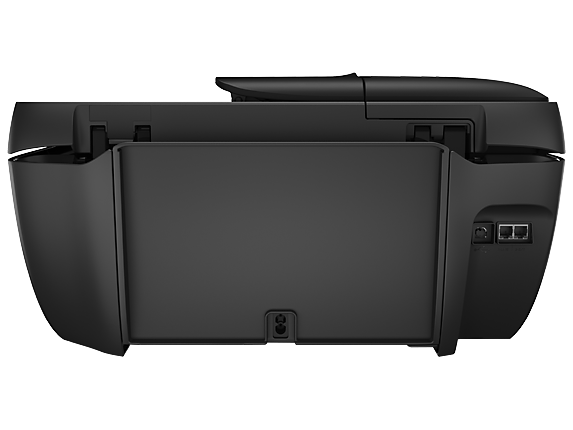 Ideal for mobile professionals and telecommuters who need a high-quality, reliable, portable printer they can take virtually anywhere. 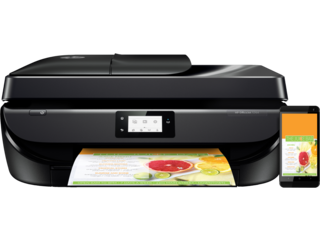 1 Mobile device needs to be connected directly to the Wi-Fi Direct® signal of a Wi-Fi Direct-supported AiO or printer prior to printing. Depending on mobile device, an app or driver may also be required. 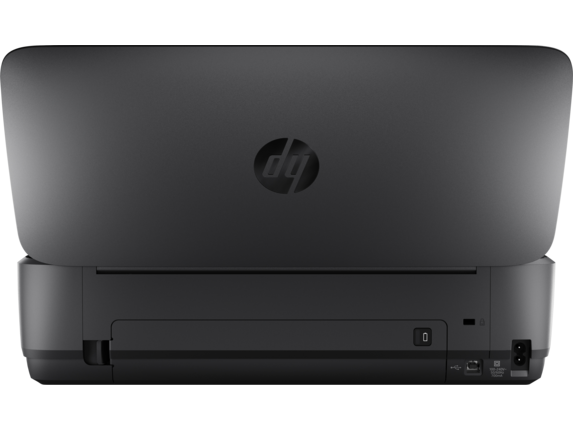 For details, see hp.com/go/mobileprinting. Wi-Fi Direct® is a registered trademark of Wi-Fi Alliance®. 2 Best-in-class performance claim compares all inkjet color mobile printers as of October 2015 based on market share as reported by Q2 2015 IDC and manufacturer’s published specifications. 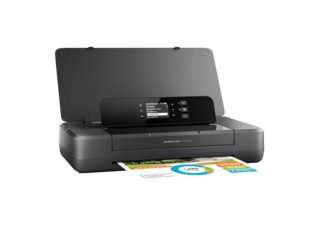 3 Local printing requires that mobile device and printer be on the same network or have a direct wireless connection. 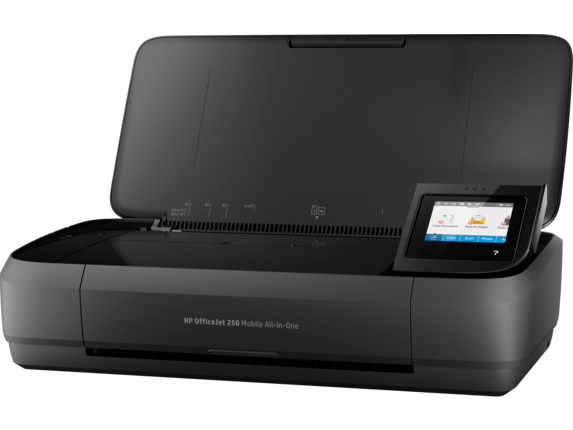 Remote printing requires an Internet connection to an HP web-connected printer. 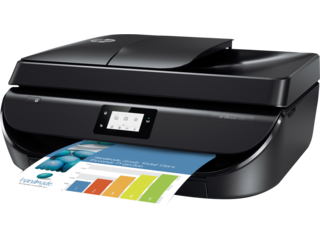 For details on how to print, including whether an app is required, see http://www.hp.com/go/mobileprinting 4 Printing speeds may vary depending on the power source. Excludes first set of ISO test pages. 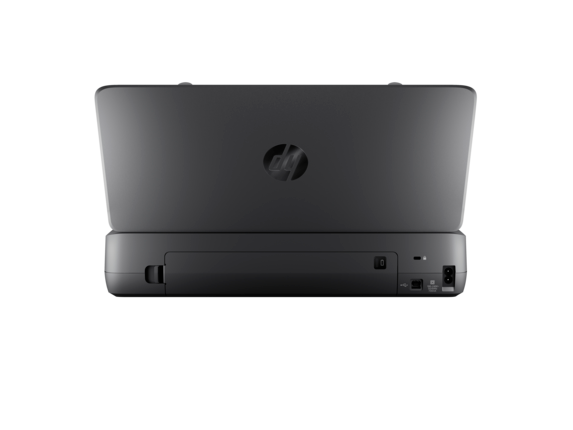 For details, see http://www.hp.com/go/printerclaims 5 Supports USB charging in OFF mode when connected to a 1A-minimum-charge-capable USB charging port. 6 HP Fast Charge Technology recharges your standard battery up to 90% within 90 minutes when charging from an AC power source and with the system off. When the printer is powered on, charge time may increase and will vary based on usage. 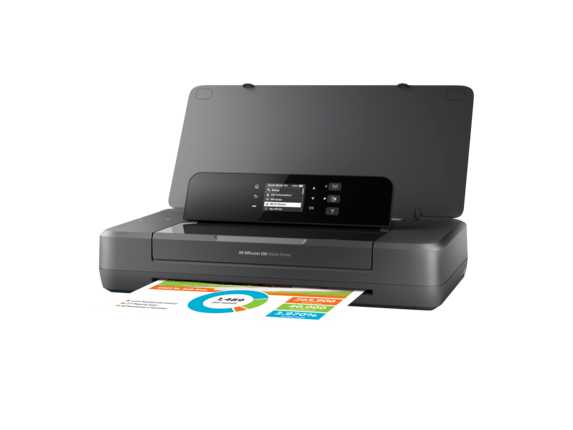 Print, scan, and copy from nearly anywhere with this portable all-in-one. Easily connect to your printer with Bluetooth® Smart technology and Wi-Fi Direct®. 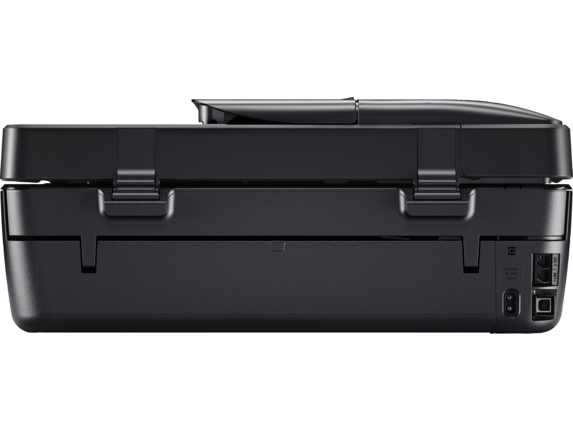 [1,2] This quiet workhorse has a long battery life and delivers the most pages. 1 Mobile device needs to support Bluetooth v4.0+ and be enabled. A mobile app such as HP ePrint or HP AiO Remote must be installed and opened for printing. Mobile device must be within 5 feet of the printer. For details, see http://www.hp.com/go/bleprinting. Bluetooth is a trademark owned by its proprietor and used by HP under license. 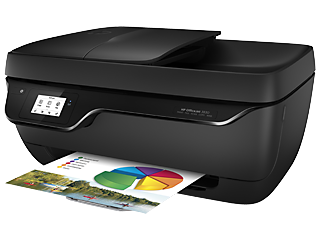 2 Mobile device needs to be connected directly to the Wi-Fi Direct® signal of a Wi-Fi Direct supported AiO or printer prior to printing. Depending on mobile device, an app or driver may also be required. For details, see http://www.hp.com/go/mobileprinting. Wi-Fi Direct is a registered trademark of Wi-Fi Alliance®. 3 Best-in-class performance claim compares all inkjet color mobile printers as of October 2015 based on market share as reported by Q2 2015 IDC, based on manufacturer’s published specifications. 4 Not all computers or network configurations are compatible with HP Auto Wireless Connect. For details, see http://www.hp.com/go/wirelessprinting 5 Printing speeds may vary depending on the power source. Excludes first set of ISO test pages. For details, see http://www.hp.com/go/printerclaims 6 Supports USB charging in OFF mode when connected to a 1A-minimum-charge-capable USB charging port. 7 HP Fast Charge Technology recharges your standard battery up to 90% within 90 minutes when charging from an AC power source with the system off. When the printer is powered on, charge time may increase and will vary based on usage. 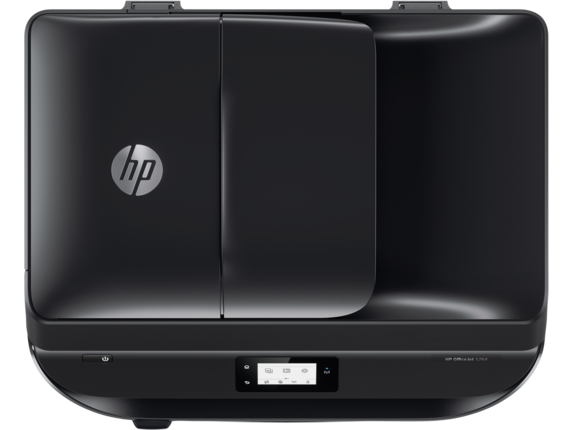 When your work finds you frequently moving from one stream to another, an HP small all-in-one printer can help streamline your routine while also saving space. 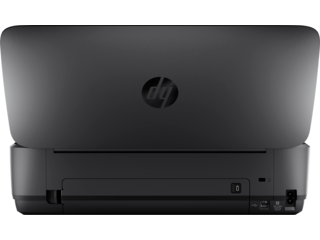 You can print, scan, copy, and even fax with the HP OfficeJet’s stationary models. 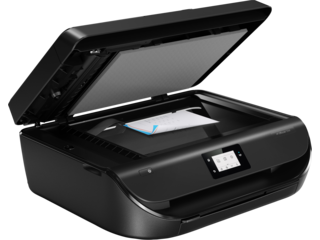 Built with efficient specs and a durable range of designs and configurations, you’re sure to find the perfect small business all-in-one printer - whether you depend on a steady document flow or just want to be ready for the unexpected. 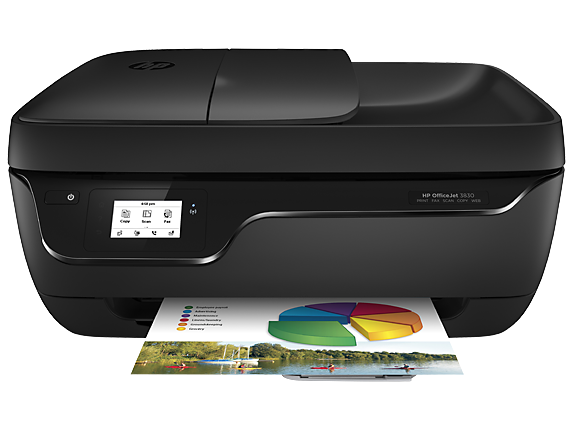 Easy to fit into just about any office space and so quiet that it’s never intrusive, the HP OfficeJet 3830 offers print speeds of up to 8.5 pages per minute in black ink and 6 pages per minute in color. 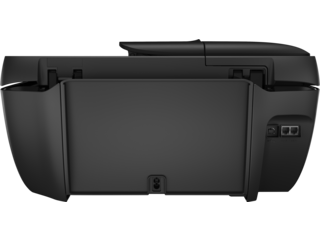 With a 35-page automatic document feeder, full-color faxing, and the option for borderless printing, you’ll have no problems with bigger or less routine projects either. 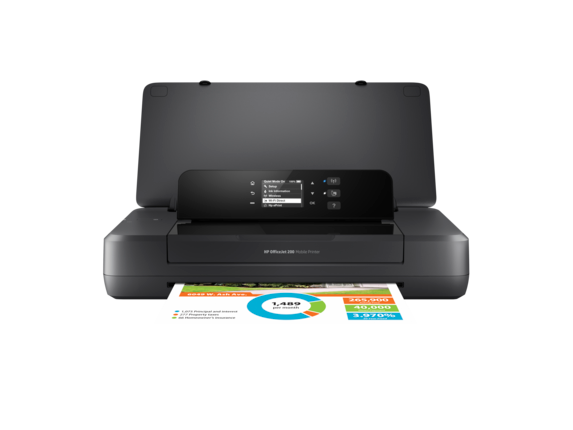 The HP OfficeJet 3830 is also set up for convenient mobile printing from your smartphone or tablet, so it’s a cinch to use whether you’re directly in front of it or not. 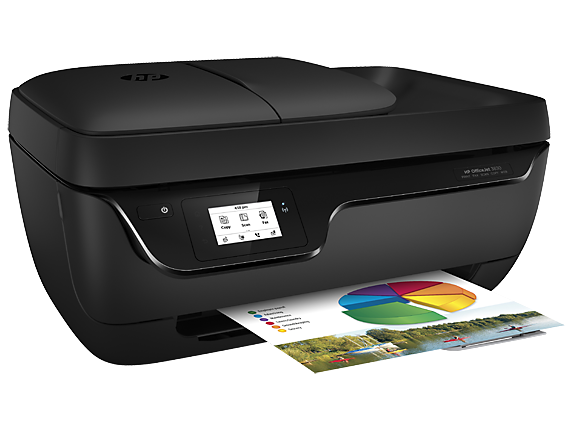 If your office needs a little extra performance day-to-day, the efficient HP OfficeJet 5255 All-in-One Printer offers quick prints and faxes. 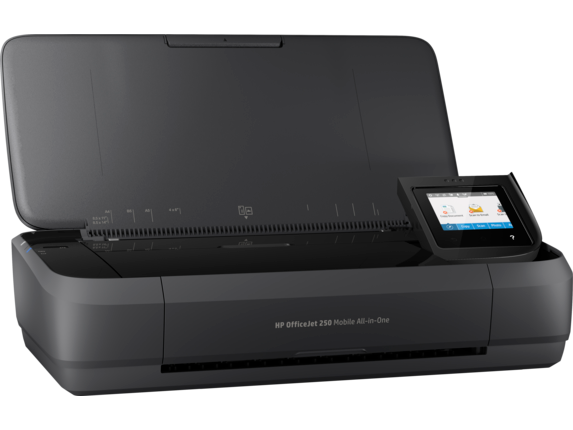 Combining a midsize automatic document feeder and average print speeds of up to 10 pages per minute in black and 7 pages per minute for color prints, the HP OfficeJet 5255 is great for bigger print loads, too. And it processes faxes in less than 5 seconds per page. The HP OfficeJet 5255 is also ideal for photos and flyers, and has enough built-in features to use as a multimedia hub when your work demands it. When you’re tied to a stationary printer or the machines at a nearby printshop, working outside of the office can become an unnecessary drain on resources and energy. 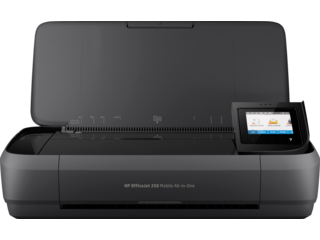 Providing you with new structural efficiency and high-quality printing are the foundations of our mobile printer configurations, starting with the affordable HP OfficeJet 200 Mobile Printer. Although it isn’t a true all-in-one, this machine’s straightforward mobility makes it multifunctional and helps it complement your existing office hardware. If you do want a mobile configuration that can do just about anything, the HP OfficeJet 250 Mobile All-in-One Printer is a top-of-the line solution for printing, scanning, and copying on-the-go. 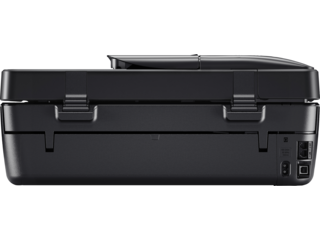 It boasts a long battery life, similar print speeds compared to stationary models, and a 10-page automatic document feeder, all while being super-easy to manage. 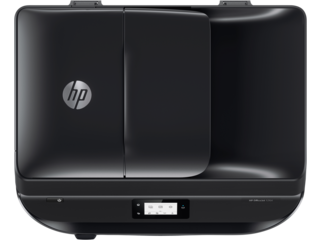 When you need a truly small all-in-one printer that will never hold you back, a convenient HP OfficeJet Mobile model may be the perfect thing for you. It’s so light and compact that you could easily carry it in a backpack or tote. If you’re shopping from our stationary all-in-one models, you’ll be happy to know both the HP OfficeJet 3830 and HP OfficeJet 5255 are enabled for our cost-saving HP Instant Ink service. 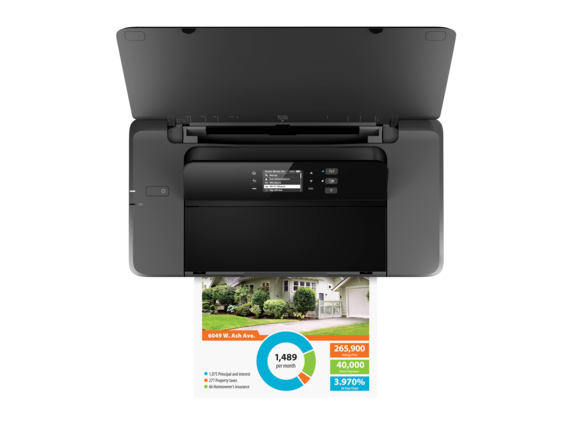 HP Instant Ink is a subscription service that detects when your connected printer is running low on ink and automatically orders a replacement shipped directly to your door. When your old cartridge runs out, just ship it back to us for recycling at no cost to you. Even better, the service operates on a sliding scale based on print volume and not cartridge use. For those who know they’ll just be printing here and there, a free plan for up to 15 pages a month is an easy way to cut out some extra hassle. Frequent printers save too. Our $9.99 plan covers as many as 300 pages a month, and it’s only an extra $1 per 25 pages to upgrade. For a streamlined office routine, the HP OfficeJet Printer is an efficient solution across the board.